Validation and process equipment engineering of Bulk production and manufacturing in the Biopharmaceutical industry in the New England and Boston Area for 8 years. Experienced, educated and knowledgeable in vaccine production and therapeutic drug manufacturing through bio-processes in both technical and regulatory aspects. 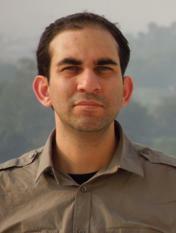 For Aarash Navabi’s full resume please click here.